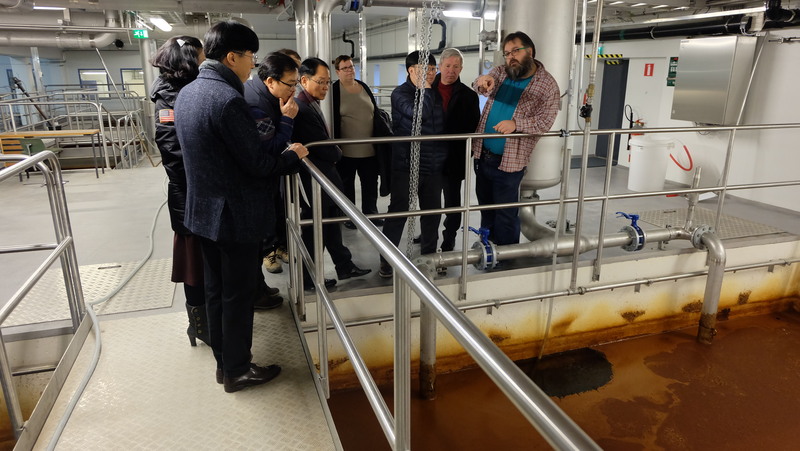 The follow-up visit of Gwangju delegates to Tampere took place from 29 November to 01 December 2018. Meetings started at the University of Tampere, with Roope Raisamo, Director of the TAUCHI Research Center – Tampere Unit for Human Interaction. 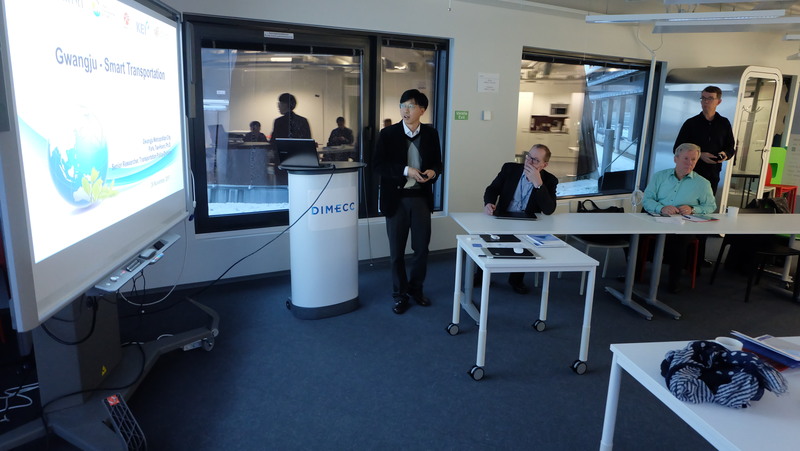 Mr Raisimo and his team explained the strong cooperation of TAUCHI with universities and R&D institutions worldwide as well as with over 100 partners from industry. Two examples of Smart City solutions were showcased: A system called SimSense to gather data from smart screens located in the street and then transfer it to mobile devices. This happens via hand gesticulation. Usages are multiple, including features of landmarks in the cities, information about traffic, etc. 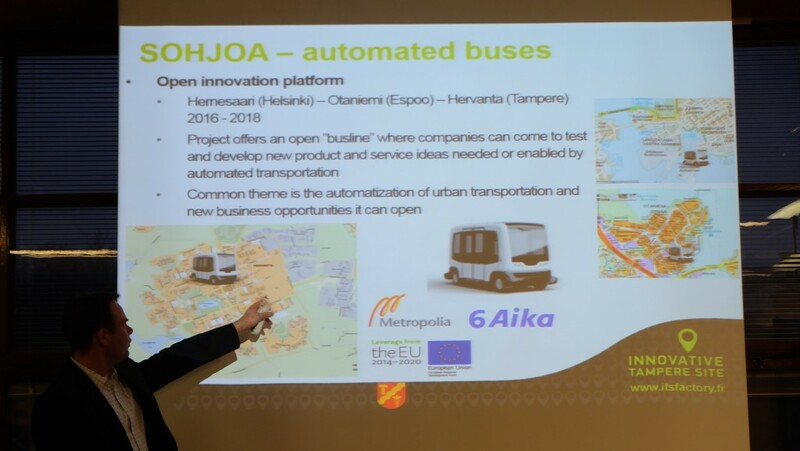 Tampere City is currently testing this technology in Living Lab Buses (the second solution showcased), which are used as test-beds for innovative app developers from Tampere. The Living Lab Buses are equipped with WiFi and smart city devices for passengers, allowing them to use interfaces especially developed for them. This is a best practice of collaboration between the local transport authorities, the university providing the users interface, the R&D institute VTT providing the hardware and the data APIs as well as companies providing the apps. Since the city released data of passengers movements just a week before this report, some apps have been developed by innovative start-up, including interactive maps and games that pop-up once passengers are getting close to their destination. 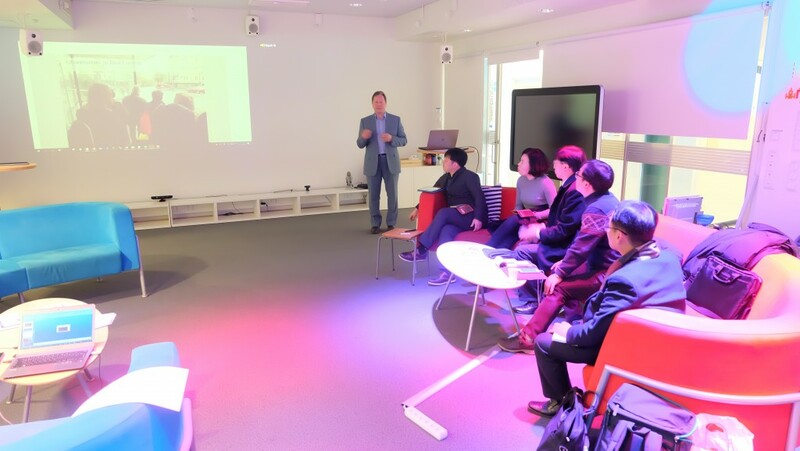 Korean experts were able to test CityCompass, a virtual reality application that can be used for urban planning and for construction planning. Dr Perti Husk showcased an application of translating data into music for the city streets. Data from different sources like traffic and weather can be translated into beats that then are merged in a music composition. 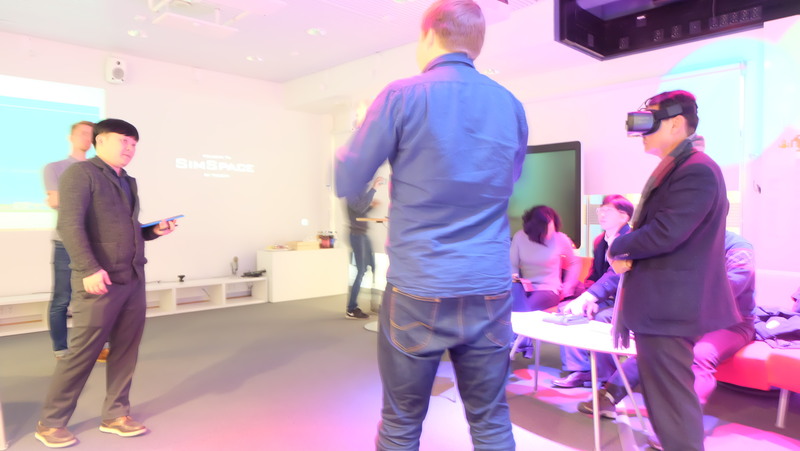 The University of Tampere team also showcased the cooperation with the maritime industry, where 10 cranes are being operated remotely through a virtual reality control centre. The usage of virtual reality in power plants was also showed. 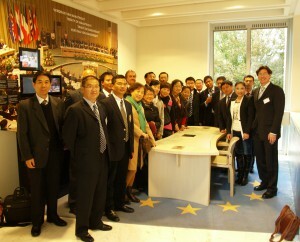 Korean participants then attended the International Conference on Mobility as a Service (IMasS). Anne Berner, Finnish Minister for Transport and Communication explained the importance of the topic and the main transport development challenges, i.e. digitalization, technology and climate change. The Finnish Government has made an effort to standardize data and open APIs in order for private companies to deliver services. Minister Berner referred to autonomous driving services as solutions for several transportation areas, including driving and shipping. The challenge is to develop services that benefits societies and not single users. Jacob Bansgaard, President of the MaaS Alliance in Brussels, explained that now not the authorities are at the center of mobility solutions, but the users. He referred to best practices from Hamburg, Vienna and Helsinki, where transport authorities are developing new services based on the users’ feedback. Mr Bansgaard also explained the new developments in Intelligent Transportation Systems (ITS) and the role of new technologies like block-chain and 5G to create more trust among users and to deliver better results. Re-regulation of specific areas like bike-sharing services was also discussed. 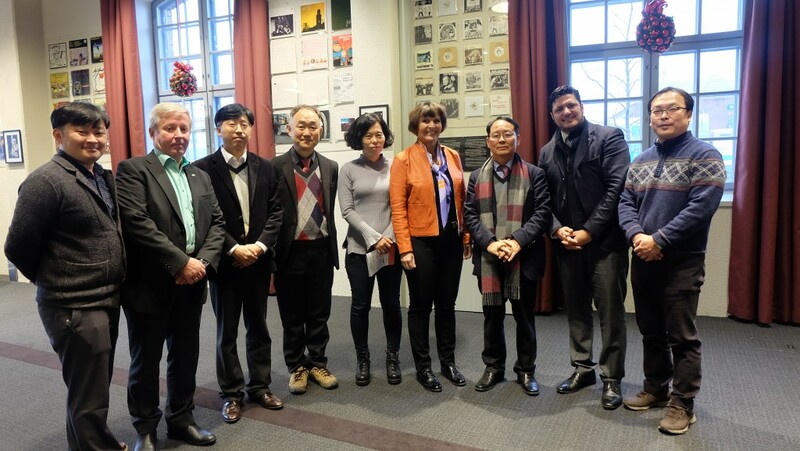 Mr Bansgaard invited Korean participants to join the ITS 2018 Conference in Copenhagen and to follow the activities within the Multi-Modality Year of the EU (2018). 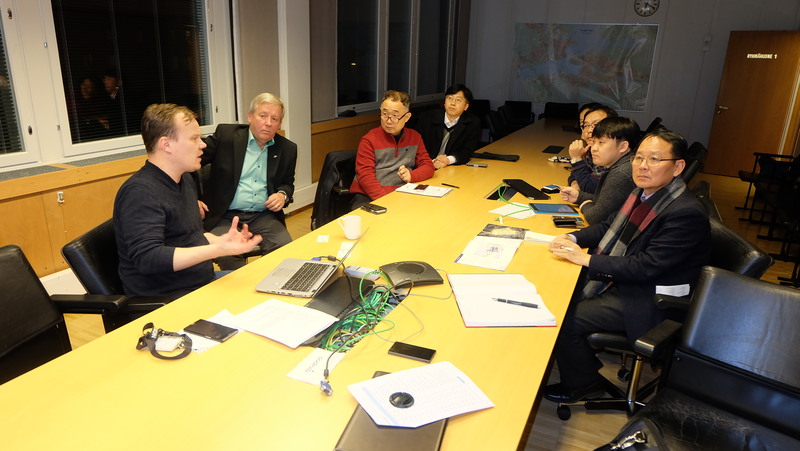 Korean delegates then met Martti Mustajärvi, who explained the services of the 5G connectivity services of the NOKIA Group for smart cities. Since connectivity is at the core of any smart city infrastructure, NOKIA provides the Digital Automation Solutions (NDAC) for the companies operating smart city services. Examples of cooperation with Tampere city were showcased. 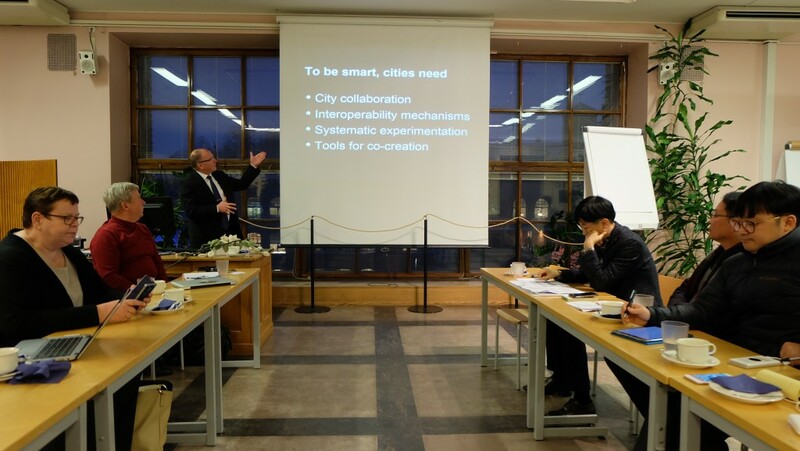 Tero Tomqvist, Programme Director of Smart City Tampere, explained to the Gwanju delegates the approach of the city to smart services and the current project portfolio of 70 mio. Euro. Tampere city cooperates with over 300 companies to achieve value creation in the economic, social, community and research dimensions. He focused his speech on the area of mobility and the investments in the new tram line currently under construction. Mr Tomqvist explained that the city attempts to act as a living lab as a whole, thus connecting all districts to smart mobility services. Tampere City is also a test-bed for IoT services that companies can then upscale in other larger cities. Tampere is a founding and active member of the Nordic Smart Cities Forum as well as of the Open an Agile Smart Cities Alliance. 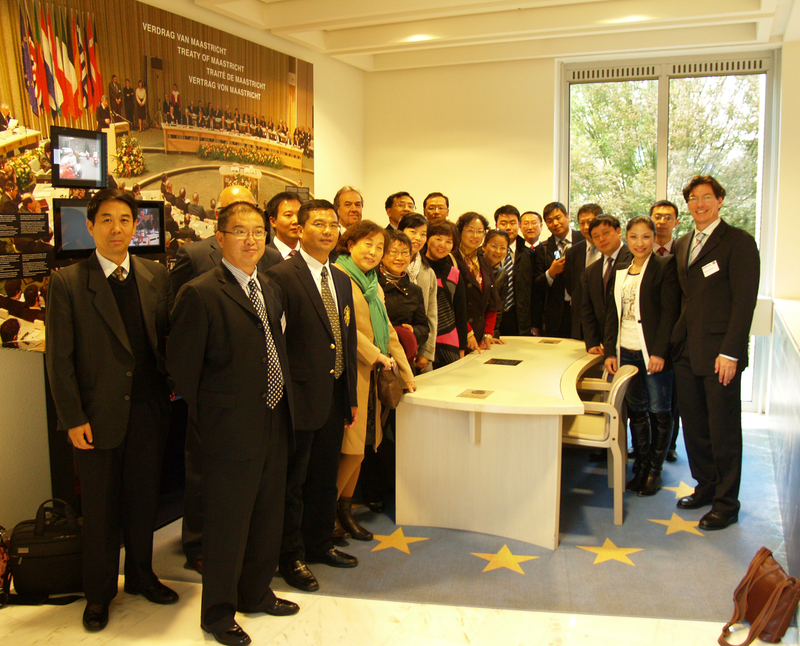 Korean delegates also met representatives of the Tampere University of Technology (TUT). Timo Korpela from the TUT explained the high level of R&D capacity of his institution and the number of patents that the university facilitates through cooperation with the industry. Pekka Tuominen from the Finish Research Institute VTT introduced City Tune, the smart city approach that includes over 50 Key Performance Indicators (KPIs) for Smart City development. 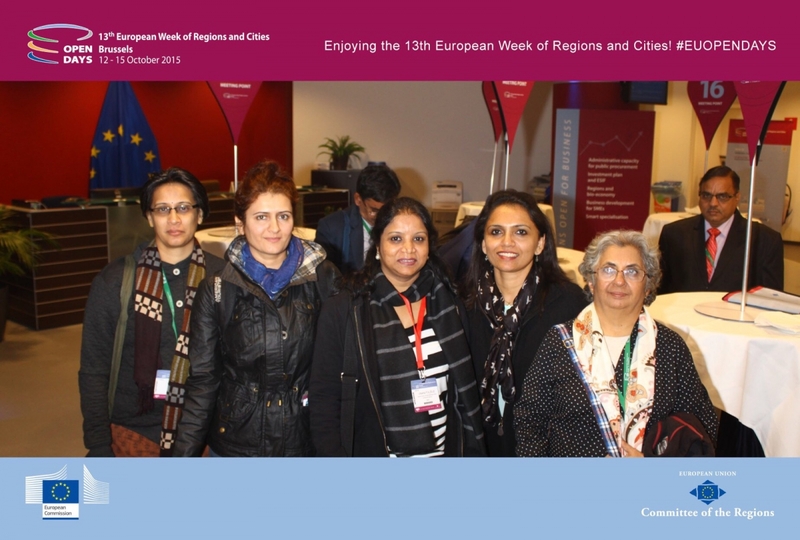 Pekka referred to the EU Project MODER, in which data visualisation technologies are being implemented at city, district and building levels. Devices allow to measure temperature, energy consumption, air quality and other features of cites. VTT has developed a data platform available for cities in which they can report CO2 emissions (carbon footprint) as well as energy consumption, etc. Timo explained that cities in the future will not be mere energy consumers, but energy producers through district solutions that allow achieving economies of scale and thus more efficient results. VTT has a simulation platform that can be offered for cities and real estate developers in the planning phase, allowing a better estimation of energy production, distribution and consumption. VTT has developed adaptable algorithms to calculate the most efficient solution, for example in Tampere (Energy Impressiveness). Also water solutions and adaptation flood s and heavy rains are facilitated. Markku Touvinen from the SENECC institute (a joint venture of TUT and VTT) explained the role of digitalization in the energy transition and the importance of considering all five layers digitalization, i.e. components, communication, information, function and business. He stated that Interoperability is crucial and that SENECC provides laboratories and simulation environments (pilot sites) to test IoT solutions, sensors, data management and visualization services. The test-bed is Hiedenranta, a new district in Tampere planned to achieve zero CO2 emissions. This is a car-free environment in which the model of Nordic Smart City 4.0™ is currently being tested. Since Tampere aims to become carbon neutral by 2035, this testbed is quite important. With regard to Korea, SENECC has an ongoing cooperation with KEPCO for developing decentralized solutions for the future energy (carbon free) supply. The goal is to achieve integrated energy solutions, not only for buildings, but for the complete urban environment. 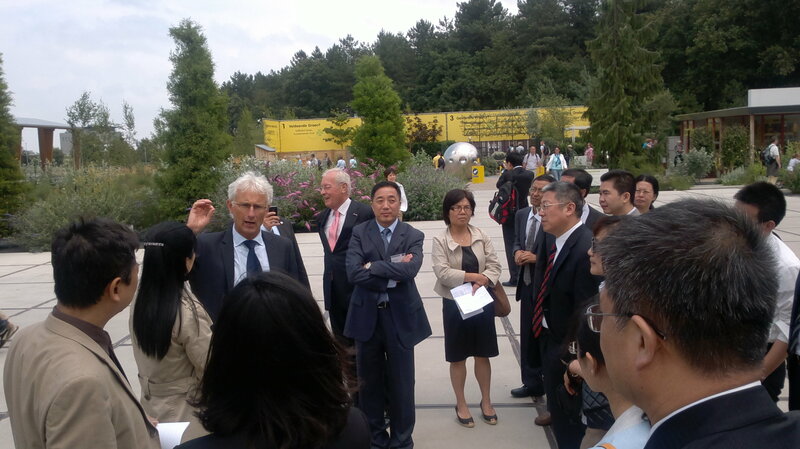 Colleagues from the TUT also introduced some circular economy solutions that could be interesting for Gwangju. Discussions centered on the Gwangju Energy Valley project as a test-bed for cooperation with Tampere on sustainable energy solutions. 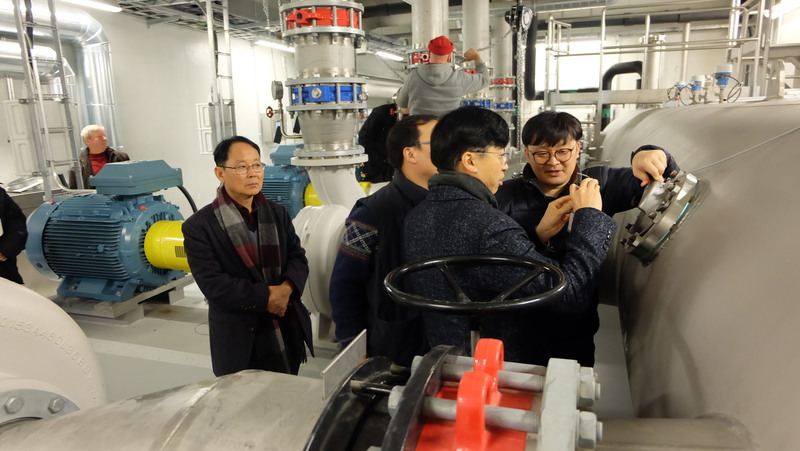 Gwangju is developing a smart energy grid which allows to test several solutions developed in Tampere. With regard to circular economy, Gwangju is launching some projects on food waste management and the treatment of solid waste. 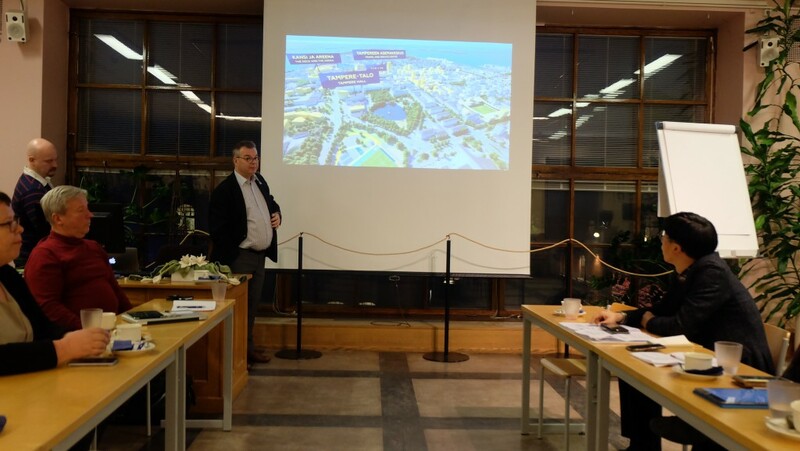 Meetings also included the City of Tampere, where Mika Kulmala (Head of the Mobility Department) introduced Tampere smart traffic solutions (www.ITSfactory.fi). The City has developed ImFlow, a innovative traffic lights system that implements adaptative traffic lights measures, for example ImCity and CrossCycle( providing push-button connectivity with traffic lights). Mika explained the main feature of Tampere’s ITS system (real time positioning, adaptability of bus priority system in traffic lights, etc). He also introduced the real time parking system (SPOT Your car) and the traffic incident management tools (traffic portal and CityTrack – pilot project for indoor positioning in areas in which GPS doesn’t work > Map with open interfaces). Mr Kumala also explained the automated traffic solutions under testing phase (automated buses and automated vehicles). He explained the main features of Tampere’s Tramway project currently under construction. 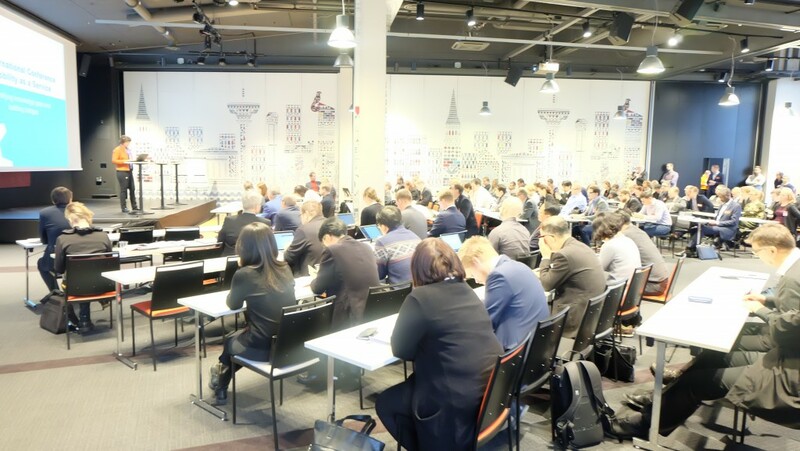 Seppo Haataja, Director of the Open and Agile Smart Cities (OASC), explained the role of the alliance in standarising APIs & data models for cities worldwide. 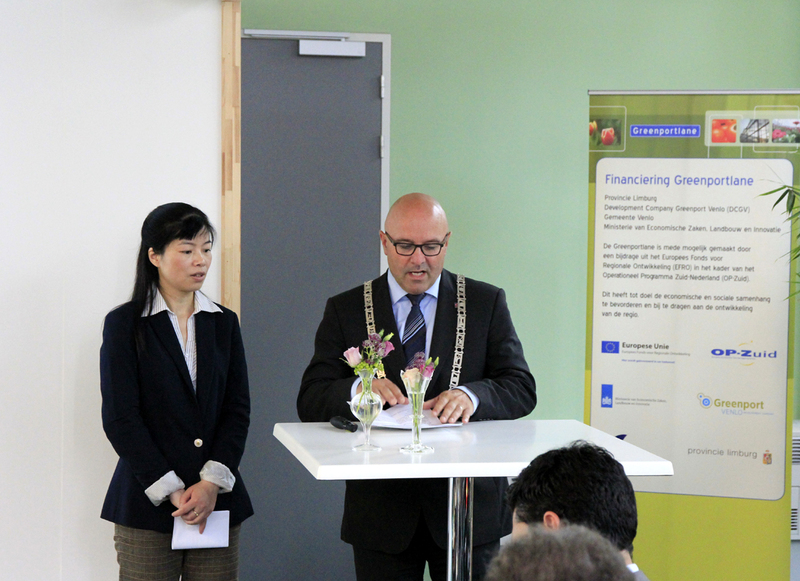 He showcased some concrete collaboration between cities through the EU project Synchronicity and invited Gwangju and further Korean cities to join the alliance, which is supported by the European Commission. 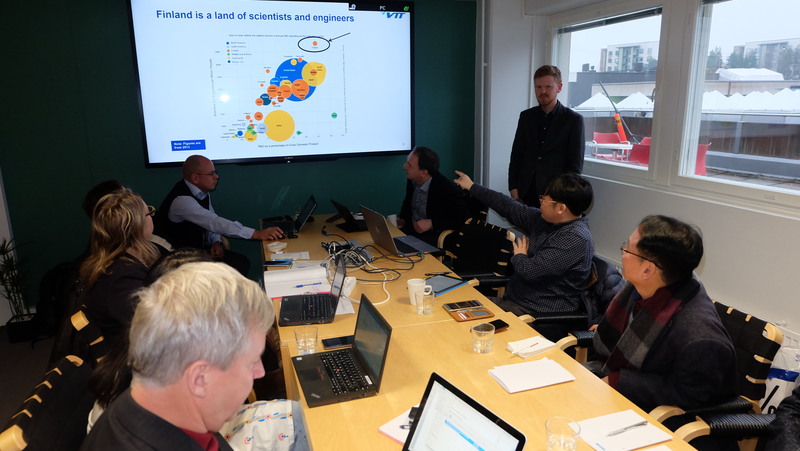 Kari Kankaala, Director of Economic and Urban Development with the City of Tampere, discussed with Korean delegates the physical development features of Tampere city as a driver for smart city strategies. He discussed possible next steps of collaboration. Discussion centered on the exchange between innovation and start-up centres of both cities in areas like transportation and mobility. Gwangju offers excellent condition for collaboration on electric and hydrogen cars services. Also the area of air quality reporting bear considerable potential for cooperation (cities will be obliged to report to the central Government and 2-3 Tampere companies are manufacturing devices for efficient and convenient are quality real-time measurement). 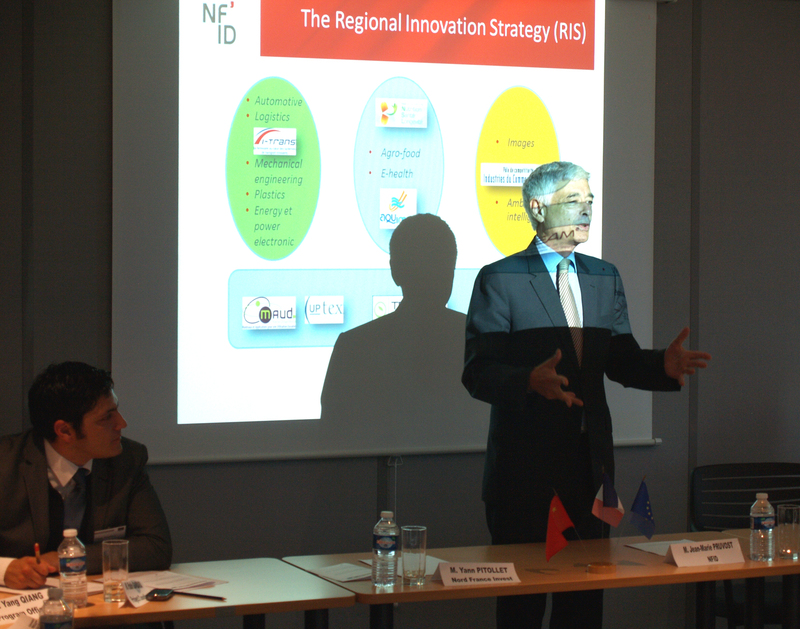 Further areas of cooperation include the planning of charging stations networks for eCars. 3) Jukka Lintusaari will revise the main requirements of the Horizon 2020 open call for R&D collaboration with Korea. A draft proposal is to be elaborated by end of December 2017 – a joint application is to be submitted with other European and Korean cities involved in the project. 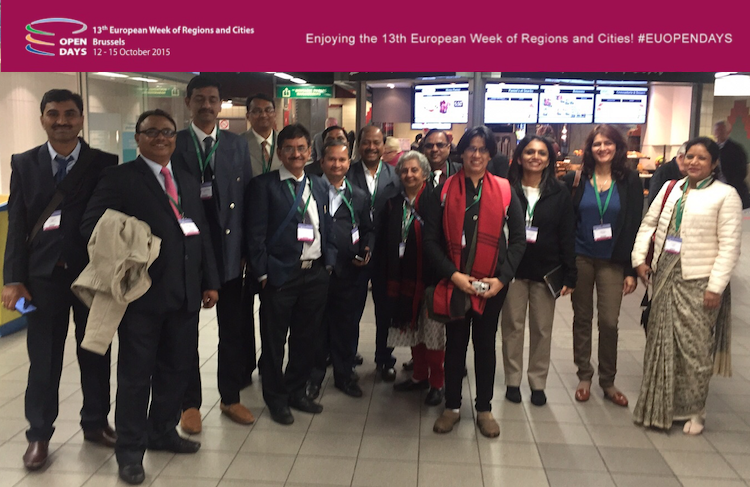 The World Cities forum website will provide a platform for exchange. 4) The next mission of Tampere to Gwangju is scheduled for March 2018, back-to-back to the SWEET fair 2018.